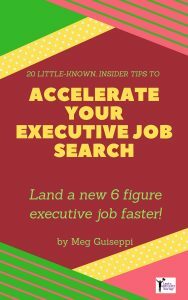 Some executive job seekers just don’t get how much executive job search has changed over the past several years. 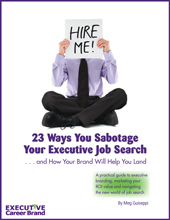 A spot-on, value-driven executive resume alone probably won’t land you the job you want. Like it or not, the digital age has impacted job search. Some people resist putting themselves “out there” because they’re concerned about safety and privacy issues. I get that. What happens when you have no online footprint, or not much of one? OR, if you have a common name, you need to clearly distinguish yourself online among the sea of same-named people. OR, if you have the same name as someone who has done something awful to discredit their name (and thereby your name), you need to distinguish yourself from what exists online about them. More and more of your competitors are working on building online presence, and have embraced LinkedIn, at the very least, as a foundation. Just to keep pace with them, you’ve got to match their efforts. So start with LinkedIn, but don’t stop there. Think about this. 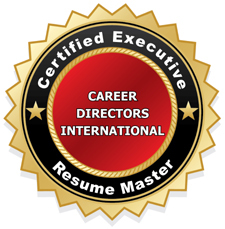 Since so many qualified candidates DO have fully-fleshed out, keyword-rich LinkedIn profiles but not much else online, how much better do you think you’ll look, if search results for “your name” bring up several more web pages with added information that will be useful to people assessing you? What does it take to build a strong online presence? 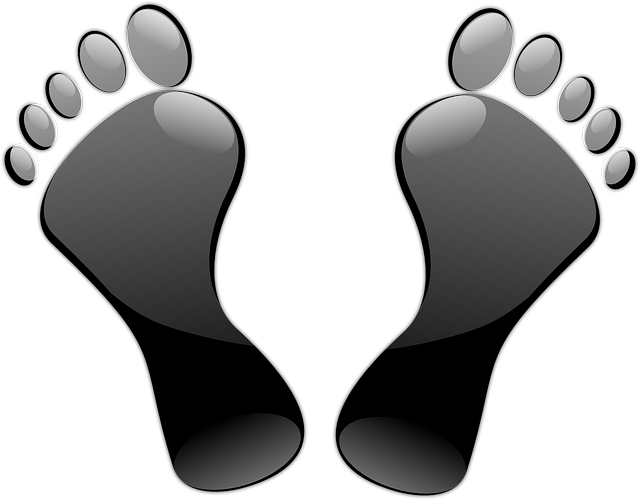 Take a look at your own online footprint right now. Type your name into a Google search, and see what you find. Do you “own” the first several search results, or at least several on the first page? Is that information what you need them to know about you and your potential value to the companies or organizations you’re targeting? If you find information that will discredit you or sabotage your online reputation, you need to work on getting those web pages changed or taken down. Or try to supplant those negative search results with positive ones. Do your search results contain plenty of your relevant keywords and phrases, so that those web pages are optimized for search engines (or SEO-friendly)? 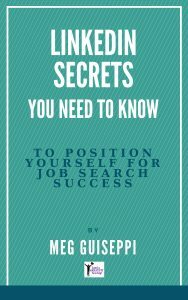 You should know, before starting your job search, which companies or which kind of companies you’re targeting, and what information about you is relevant to them and will resonate with them. Be careful what you post on social networks, or anywhere online. Continuously monitor your online presence. Get used to self-Googling regularly (about once a week) to see what exists on the first several pages of search results. You need a good mix of static profiles/web pages and vibrant real-time content. A few online profiles that all contain the same content won’t cut it – change up the information in each one. Keep working on building more and more search results for your name and increase your number of diverse and accurate results on the first few pages. You should already have done the initial work of defining your personal brand, built around what will resonate with your target companies. 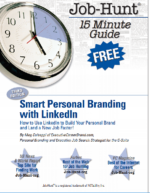 Express that same personal brand message, across all communications channels and social media you decide to use. I don’t mean that you should use the same information over and over. As I mentioned above, mix it up. Keywords are critical! Make sure you have lots of the right keywords, in the right places. Build diverse content in various places online. Self-Google regularly to monitor your online presence and reputation. Keep adding new content to new web pages, to build volume. Don’t wait until the last minute to build online presence. It takes time for the content you post to gain traction in search engines.